Hi A Night Owl friends! 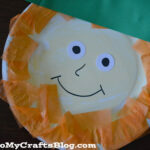 It’s Stacey from Glued To My Crafts and it’s time for me to share another kid friendly craft with you all. When I sat down to think of what my contributor post for this month would be, I wanted to share a keepsake idea. With my son growing like a weed these days, I want to capture the “moment” as much as I can. 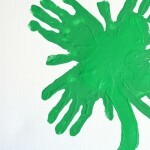 One of the many ways I enjoy doing that – is by making canvas art and using his handprints/footprints as the focal point. And since I’m sharing on A Night Owl, I thought it would be fitting to share this Handprint Owl Keepsake Kid Craft today. It’s WHOO-tastic for everyone, super easy to put together and oh-so-cute! First paint the body of your owl in the center of the canvas. 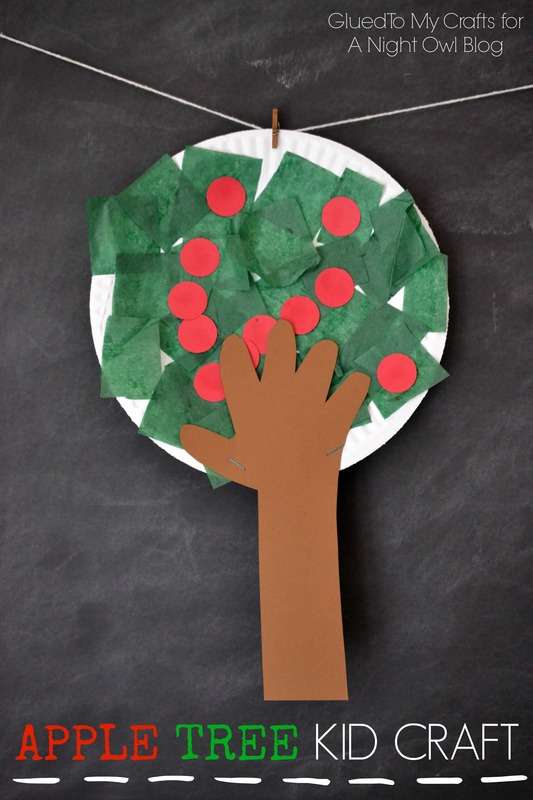 This will make it easier to add your child’s handprints. Next add the handprints. One on each side of the owl’s body. 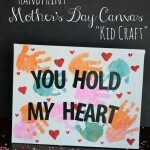 This is done by painting your child’s hands and having them press them on the canvas. Let the paint dry completely. Now add features like a beak, eyes and feet to the owl. 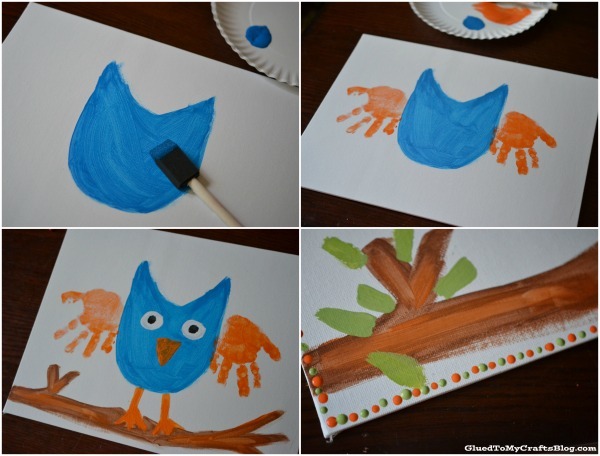 Paint a branch & leaves for the owl to sit on. 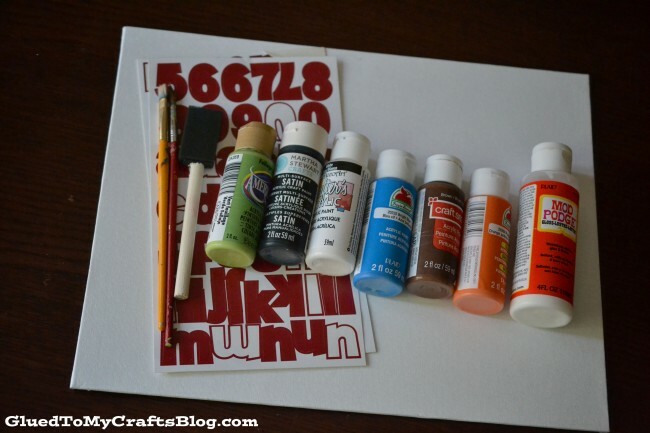 Place your stickers on the canvas. You can do sayings like “Who Loves You? 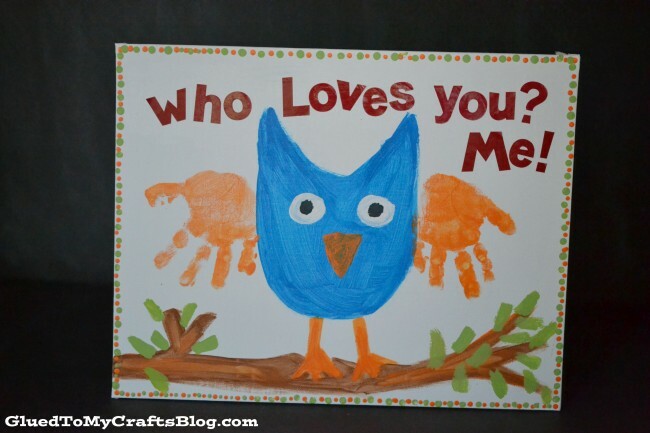 Me!” or “You Are Whoo-tastic!” Add a layer of Mod Podge on top of the stickers, to seal it all in. To finish my canvas – I added a dot pattern all around the edge of the canvas. 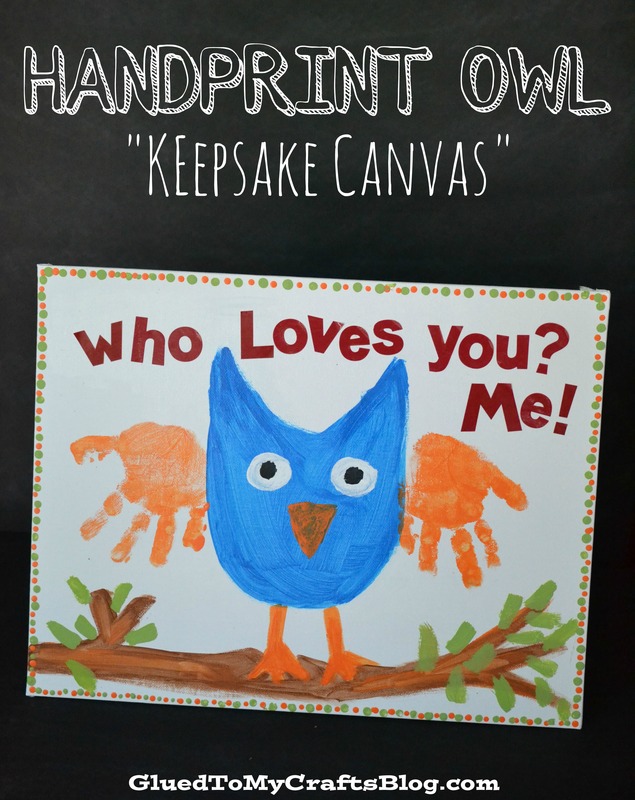 Isn’t that Handprint Owl cute? 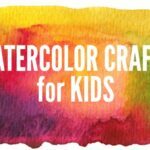 You can totally customize this painting to match your child’s favorite colors or even make it to match your room decor. 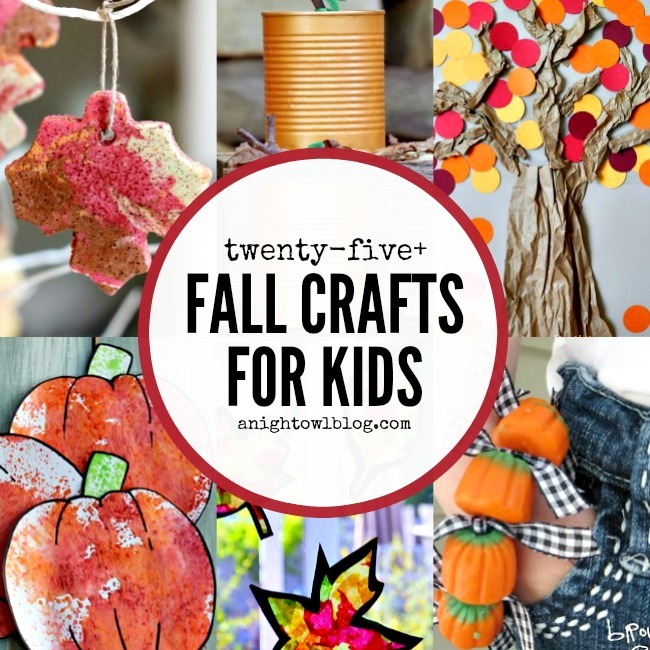 Now don’t forget to add your child’s name, age and the date on the back and for easy hanging – just hot glue some ribbon on the back of the canvas. Oh My! Such a lovely handprint! I love owls and have many around my home, but not a single one is a print.